OORAH!! These Marine recruits take a moment to rest after completing their LAST obstacle at The Crucible - a 2 day, 50 mile event. Congratulations to one and all!!! 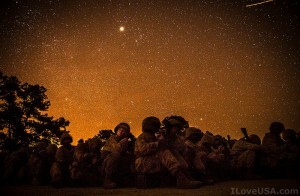 Photo by U.S. Air Force Staff Sgt. Chris Griffin.